The famous musician studied in the Saratov Musical College where she specialized in clarinet playing (class of A.Urusov). Upon graduation from the college in 1959, she continued her education at the Gnessins Russian Academy of Music under mentorship of Alexander Stark and Nikolay Mozgovenko (graduated in 1964). Then she improved her skills in assistantship and interned under leadership of Boris Dikov. In 1962 and 1963, Margarita won the prizes at the International Competition in Helsinki and All-Soviet Union Competition in Leningrad. In the mid-1960s, she started to learn the saxophone playing without any professional help, and in the early 1970s Margarita gave her first solo concerts. 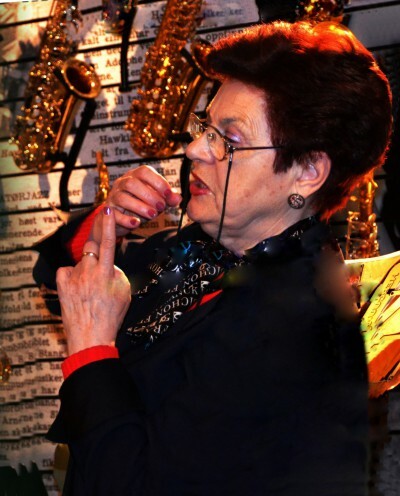 At the initiative of Margarita Shaposhnikova, the saxophone class was opened in the Gnessins Academy of Music in 1973, where she continues to share her mastery with the students up to now. Among them we can find many prize and award winners of the Russian and international competitions. The Margarita Shaposhnikova’s repertoire includes classical works for saxophone as well as many musical compositions dedicated to her by the modern authors.